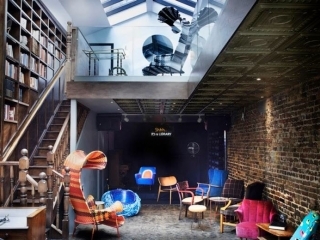 There are lots of well known members clubs like The Groucho and Soho House offering their members food, drinks, motivational talks and a good night’s sleep under one roof. Many four and five star hotels are doing the same and the exciting series of Museum Lates, offering evening cocktails and late viewings of exhibitions, talks and workshops and sometimes even a dance with live music. (Last year the Lates at The V&A and Horniman museums really stood out). But what’s on offer to the Londoner who isn’t a member of Shoreditch House? Where else can we go to enjoy an ‘all under the one roof’ night, if a Museum Late is not our thing! LC looks at a few independent multi functional spaces around our fair city, offering Londoners so much in the way of entertainment and variety. Cafe by day, bar and crafty play house by night, Drink Shop Do in Kings Cross offers a huge variety of fun things to do for the crafty-adventurous Londoner. Everything you see on the walls is for sale and you can even take home the furniture, as well as all the crafty products in the shop. Open all day serving breakfast through to a mean afternoon tea (£14), it transforms every night to serve dinner and cocktails. There’s a rotating selection of fitness style dance classes (all with a distinct Beyonce theme!) along with unique weekly ‘dos’ which include Lego Robots, Musical Bingo & Play with Clay. Owners Kristie Bishop and Coralie Sleap suggest ‘These ‘do’s’ require a strong drink and a good sense of humour’. On Friday & Saturday nights there’s DJs & dancing until 2am. Event listingshere. Bolt is a unique concept store, situated in a series of interconnected arches on the edge of London fields, East London. It’s run by a very modern kind of bearded biker (the rather dapper, model-esque Andrew Almond). Bolt is firstly a biker shop, that offers bespoke motorcycles, art and apparel, collectibles and hard to find biking related items. But it also hosts a wide range of events from Denim Dudes book launch, magazine launches (including Men's File and Clutch) and open exhibitions from artists and photographers such as Hans Sures, Richard James and Phil Polglaze. With tonnes of outside space Bolt often hosts evening events for up to 500 people but it also offers a small cosy on site café serving up Volcano Coffee for anyone with just the vaguest interest in motor bikes. Join Bolt’s FB page for invites and updates. Lights of Soho is Soho’s newest art gallery and is designed to function as a cultural hub for Soho’s creative community. 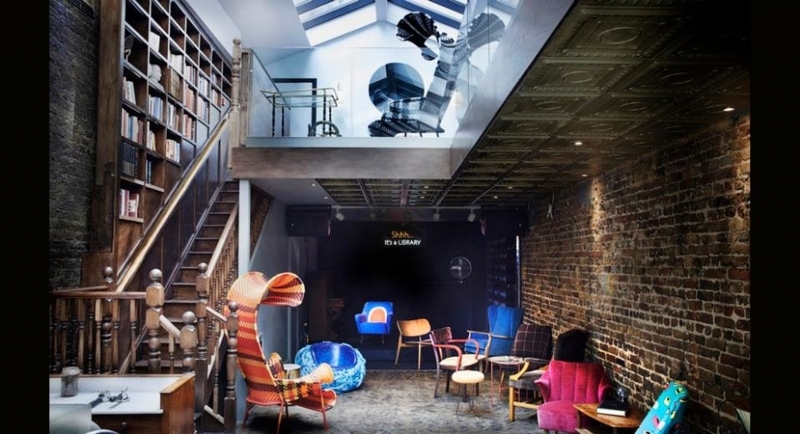 It’s aiming to be recognised as a global home of creative neon and light art formats and with its glossy neon art gallery and stylish basement members’ lounge it certainly adds a splash of much needed colour to Soho’s all too clean and tidy Brewer St. Most of the events held at Lights of Soho are for members and require member sign-in but some are for non-members and just require RSVP. In addition to the ground floor gallery space and basement members lounge, (which serves bar food and snacks, not a full menu) Lights of Soho’s cafe provides a daytime meeting space for ‘Soho’s cultural connectors, influencers & creative community’. There’s also an online art shop. ‘The Art of Burning Man’ runs from 24th July to 10th September, with further exhibitions and events to be announced. Shoreditch Town Hall is possibly not the first place you think of when planning a night out to east London but with eight principal spaces, and over 60 individual rooms, the Victorian grandeur of Shoreditch Town Hall is breathtaking. To use an overused phrase – it is a cultural hub! Home to a busy year round programme of events, workshops and live performance, from contemporary theatre and dance, to conferences and corporate dinners, film shoots to exhibitions. 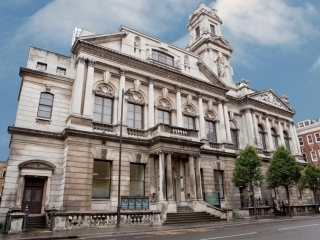 As well as hosting events for Alexander McQueen, Vanity Fair, the Jamie Oliver Foundation, the RSC and the National Theatre, Shoreditch Town Hall also works with theatre companies and partners including LIFT, the Almeida and Paines Plough's, often transforming the space for the productions. On the same site (but not the same company) is the glorious Clove Club restaurant. After only two years trading it has already made it into the World Top 50 restaurants. You don’t have to eat in the main restaurant if you are short on time – just sit yourself at their bar, and enjoy one of the best Shoreditch cocktails and sample the bar menu. You probably won’t want to leave! Head West to Library - an immersive hideaway which opened just one year ago (October 2014) by Ronald Ndoro and designer Marc Peridis. It’s certainly an attention-grabbing place with all its tiles and surfaces made out of re-used waste, lots of exposed brickwork and reclaimed wooden book shelves lining the walls. Bespoke, stylish, brightly coloured furniture add vibrancy to every available space. It’s a hotel firstly, with a beauty spa and wellness centre with a small gym. It’s also a bar and restaurant, an event space with a stage performance area and an outdoor terrace area with 24 hour concierge. It also doubles as a slick private members’ club and it’s all set into a small but architecturally perfectly formed building on St Martin’s Lane. Library hosts cool Sunday Dj sessions including one event called ‘Dad’s Vinyl’ and their regular ‘Success talks’ feature talks from various motivational speakers including June Sarpong. There’s an alternative poetry night and various diverse cuisine nights including a pop up Caribbean themed party run by street foodies Dub Plates Kitchen running until Sept 10th.